Seth Hecox is serving in his first call as pastor at Grace Lutheran. 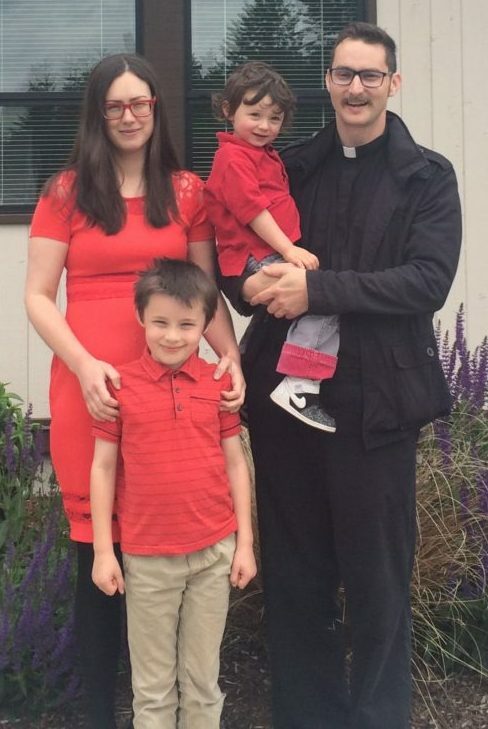 He graduated from George Fox Seminary in 2017 and was ordained by Northern Illinois Synod bishop Jeffrey Clements in 2018. With a history in the music business, the non-profit sector, and youth ministry at churches, Seth draws from a diverse background to cast vision for the future of the Church. Seth started at Grace in early June 2018, and has already begun launching new programs at Grace and partnerships with other organizations in the community. A strong believer in the value of fellowship and community, Seth constantly cultivates a sense of community engagement within and around Grace Lutheran Church. Seth engages in a variety of programs of community involvement, including Confirmation, Women’s Bible Study, Men’s Bible Study, Wednesday Night Discussion Topics, community events, Vacation Bible School, youth trips and activities, inter-church cooperation, and other projects where church members are invested with their time and energy. Seth and his wife and two sons moved here from Washington state. The entire Hecox family enjoys Chicago-style deep dish pizza and Cubs baseball.